Travelling with kids can be a daunting experience, especially when thinking about how to manage their sleep. The biggest mistake parents make when travelling with kids is that they over schedule themselves. 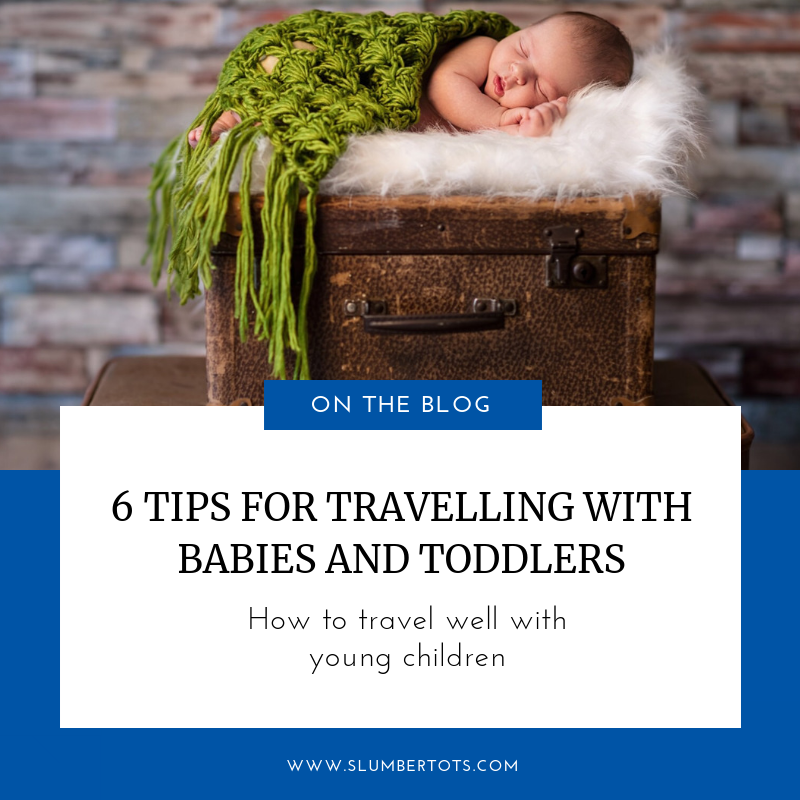 We all want to make the most of our holidays and try to pack in lots of fun and adventure, but it’s important to try and maintain your baby’s routine, and leave time for rest too. It’s very normal for babies and toddlers to test the boundaries around sleep when they are somewhere new. Just because the rule is the rule at home, that does not necessarily mean the rule is the same at Grandma’s house, or in a hotel room. This may mean that your baby cries for some time at bedtime or has a night waking or two. The best way to handle it is to do the same as you would if the regression happened at home. If you hang on tight to your consistency, within the first night or two, your child will be used to the new environment and will be sleeping well again. 3. Make sure you bring your child’s comforter, teddy and/or blanket! This is easily forgotten, but can make bedtimes really challenging while you’re away if you forget! I speak from experience on this one! Another big mistake parents make is to bed share with their baby or toddler while travelling. If this isn’t part of what you do at home, then don’t start on holiday. Even it’s it is only for a few nights, if your baby decides this is his new preferred location, you could find yourself starting all over again when you get home. Most hotels have a cot you can use or rent, or take your travel cot along and use that. If possible, safely set up some kind of “divider”, so when your baby wakes in the middle of the night, or in the morning, he can’t immediately see his favourite people. This should make falling back to sleep much easier. An occasional car nap or slightly later bedtime probably isn’t going to do too much harm. However, if your baby spends a couple of days taking car seat naps here and there and having late bedtimes, he may become so overtired that, after a few days, he has a complete meltdown at bedtime and just cries the house down. Try and resume your routine when you arrive at your destination, and try for at least the majority of naps in the cot at the usual time, if you can. When travelling with kids, sunlight is a useful tool in helping us all adjust to the new time zone. Light is the most powerful time cue our bodies have. Try to plan meals and socialising around the new time zone as well, and get an hour or two of fresh air in the early afternoon. Make sure you do just the opposite when evening rolls around. Use blackout blinds, and keep light to a minimum a couple of hours before you want your baby to go to bed. This will help stimulate melatonin production, making him sleepier. If you’re travelling with kids and things get a bit off track, you can always reset things once you’re home. But if you think you’d like some support in doing that, please do get in touch. download my free bedtime guide: 5 steps to a better night’s sleep.